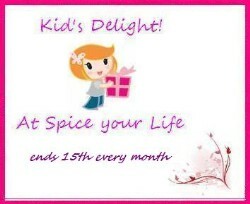 Celebrating Blog's Ninth Anniversary with Kid's Delight Party! Here’s the Anniversary party I host every year to celebrate my Spice your Life! site’s Anniversary. It’s nine years since I started this blog to document about Parenting, Indian Diabetes, Kid Approved Recipes along with Vegetarian Recipes. The theme has always been a Kids party for the Kid’s Delight Event. The Anniversary celebration is always hosted on my blog to celebrate both the event and the blog birthdays. For the anniversary party, I mostly make an entire menu during this month. I invite you all to join me in this celebration.